The process of fission occurs through the interaction of particles called neutrons with the nucleus of the atoms of a nuclear fuel element such as uranium. As the result of this interaction, new radioactive elements called fission products, some neutrons, and a relatively large amount of heat are produced. These neutrons in turn are capable of causing further fission and thus causing what is called chain reaction. 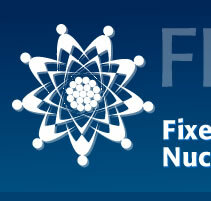 The fission products are kept inside the fuel cladding in order to avoid contamination. The main concern of the reactor designers and operators in respect to safety is to guarantee that the cladding temperature will not go above its designed value and thus the integrity of the fuel cladding in maintained. Controlling the population of neutrons in the reactor controls the power generation. The balance of the neutrons is achieved by balancing the amount of neutrons produced through fission, the number of neutrons absorbed by the reactor materials and control elements, and the neutrons that escape from the reactor. When the neutron population, thus energy generation, remains constant with time, the reactor is called to be in the critical condition, meaning that the reactor is generating power constantly under control. When the energy generation increases with time, the reactor is in the state of super criticality and if it is not controlled, it may result in superheating of the reactor. 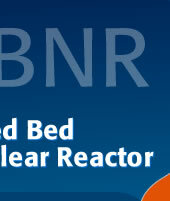 The superheating can damage the fuel cladding and cause the release of radioactive fission products into the environment. If the neutron population decreases with time, then the subcritical state is reached that leads to the shutting down of the reactor. These states of criticality, supercriticality, and subcriticality of the reactor are functions of both material composition and geometry of the reactor core.